Our new Tempus platform is the latest proof of our passion for bringing technologies to market that help patients solve their biggest complaints around conversations. We channeled the extremely high performance of Tempus into making sure patients can hear their absolute best in every type of conversation, including those with a lot of background noise. And it’s all thanks to our highly intelligent SoundCore technology. ALL OF OUR HEARING SOLUTIONS INCLUDE TECHNOLOGIES DESIGNED TO HELP PATIENTS HEAR THEIR ABSOLUTE BEST, WHILE KEEPING EVERYTHING SOUNDING REALLY NATURAL. 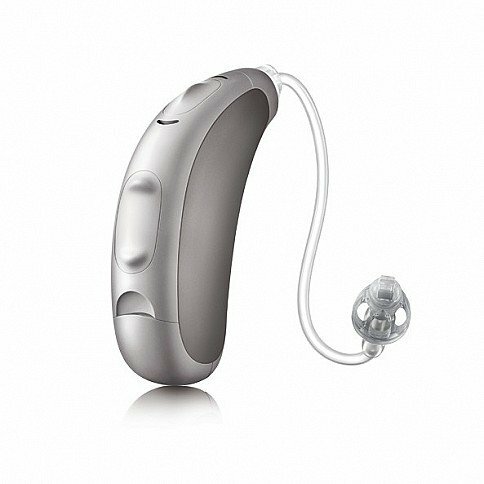 The latest Unitron platform lets patients hear their absolute best in all conversations, anywhere, anytime. We know patients care about discretion, that’s why we made two of the world’s smallest hearing instruments. But we also know they care about performance, so we are passionate about bringing technologies to market that help patients hear their absolute best in every type of conversation.